Quizzies Mania at Greeley Avenue! Quizzies mania has taken over Greeley Avenue Bar & Grill! 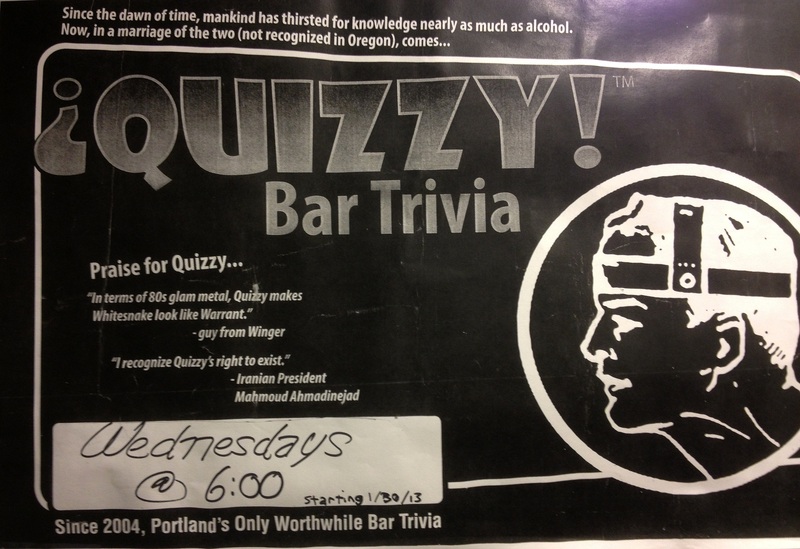 If you haven’t made it in for the fun yet, or you aren’t familiar with how Quizzies works, here are the details. Players choose a group to play with and then select a team name. The trivia game has four separate rounds, each round increasing in difficulty. There’s a “help line” in case your team needs some additional assistance. Who are these team savers? The bartenders! They can help a team with an answer, but only if they haven’t already assisted another team with the same question. The host, Roy Smallwood, asks the question over the microphone, your team chats about the correct answer, and then it’s written on the score card. After each round, turn your answers in to receive your grade. So join us at Greeley Avenue every Wednesday evening for the fun and games beginning at 6 p.m.
It’s week 3 of NFL preseason! Once the regular season begins, don’t forget that Greeley broadcasts all the games due to having the NFL ticket! This entry was posted in Entertainment and tagged and grill, bar trivia, NFL, NFL schedule, places to eat, portland oregon things to do, Portland sports bar and grill, Roy Smallwood, sports trivia, trivia by greeleyave. Bookmark the permalink.